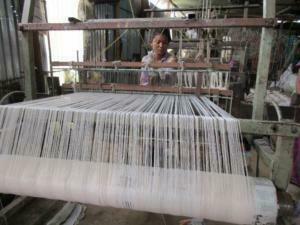 Fairly Traded Clothing is original Fair Wear for people who live conscious by wearing Fairly made organic clothing. Our brands ensure our employees in Nepal a fair wage and deliver our customers unique garments. 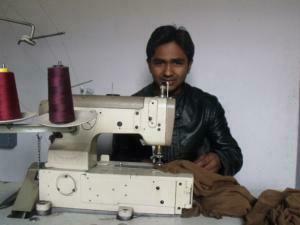 All our clothes are being designed by ourselves and manufactured in our factory in Kathmandu, Nepal. Through this policy we can guarantee that every participant in the production process obtains a fair wage in worthy working conditions. To ensure the health of our employees, customers and our planet, we choose to work with natural materials and dyes. By a constant procurement of raw materials we support local farmers and we encourage them to promote organic farming in Nepal. This direct import offers the customer an interesting balance between price and quality. Fairly Traded Clothing invests its profit in local projects. We offer education to orphans and children of poor families. We provide shelter for children who became homeless. We organize training for unskilled people. In our employment project we have specific attention for the well-being of more vulnerable individuals. Men and women who have difficulties in finding a job – such as people with disabilities and unskilled people – are being offered a free training in our factory. Once the training has been completed, the employee can cooperate in the production process, he or she receives a fair wage and if necessary accommodation. The children of our employees receive primary education. Our goal is to ensure that employees can take their own future in hands and in the long run work independently on their own projects. Through this way the Fairly Traded Clothing production wants to contribute to the well-being of the local community in Nepal.